Diễn Đàn: A call for Human Rights “recognized by the Constitution of Vietnam and the International Convention that Vietnam is a signatory” was made public on December 28, 2012. It asks the National Assembly to abolish Article 88 of the Penal Code that punishes “crimes of propaganda against the State” (numerous people have been imprisoned in the name of this Article) and also to strike out an unconstitutional decree that the government has invoked to prevent peaceful demonstrations (notably for condemning Chinese aggressive activities in the South-Eastern of Asia). that included: Hoang Tuy, a mathematician; Gen. Nguyen Trong Vinh, former ambassador to China; Profs. Chu Hảo, Nguyễn Huệ Chi, and Tương Lai; authors Nguyên Ngọc, Nguyễn Duy, Phạm Xuân Nguyên; Bishop Paul Nguyễn Thái Hợp; and former activists in the urban movement of the South during the resistance against the American war such as Huỳnh Tấn Mẫm, Cao Lập, Lê Hiếu Đằng and André Menras (aka Hồ Cương Quyết). Individuals who wish to add their names to this call could send them in at the following electronic address loikeugoi2012@gmail.com, stating clearly family and given names, occupations, titles and addresses. The original Vietnamese version of the petition can be found on boxitvn.net. Updated public list of thousands of signatories is here. “We, the undersigned Vietnamese, call upon the government and the people of Vietnam to concretely implement the human rights stipulated in the Constitution of Socialist Republic of Vietnam (SRV) and international conventions that Vietnam has recognized and signed. Among these rights are the rights of freedom of expression, freedom of the press, access to information, and the rights to congregation, association, and demonstration established in Article 69 of the 1992 Constitution (which was amended in 2001) as well as in Articles 21 and 22 of the International Convention on Civil and Political Rights that Vietnam officially assented to in 1982. Article 88 of the Penal Code, which defines very vaguely anti-state propaganda crimes, is in fact a means to strangle the freedom of expression guaranteed in the Constitution of Vietnam and in international conventions on civil and political rights. Citizens’ criticism of and opposition to government’s regulations, laws, policies, and bureaucracy are but necessary and normal activities in a democratic and progressive society. Under Article 88 of the Penal Code, however, any citizen engaging in any such activities could be summarily punished. 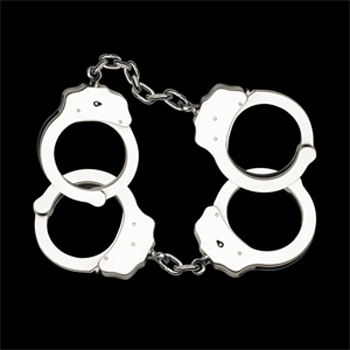 Many Vietnamese citizens have been subjected to criminal proceedings, trials, and jail terms based on the vague definition of the crimes stated in Article 88. As a result, there has been much resentment among the population and criticism in the world community on human rights in Vietnam. Decree 38/2005/ND-CP of March 18, 2005 is in reality a decree that bans demonstrations and its enactment has been unconstitutional. According to Articles 50 and 51 of the 1992 Constitution (amended in 2001), human and citizen rights are defined by the Constitution and by laws passed by the National Assembly. The government does not have the authority to define these rights as well as to limit, bar, and ban them. Right after proclaiming the Declaration of Independence Chairman Ho Chi Minh issued Edict no. 31 on September 13, 1945, which stated that demonstrations are fundamental rights in a democratic system and that citizens only have to inform local authorities of their intents prior to staging demonstrations. Since then Edict no. 31 has not been rescinded by any law and therefore is still legally binding. Decree 38 mentioned above is in direct violation of this Edict as well the stipulations in the current Constitution and in international conventions on political and civil rights. Therefore it must be immediately abolished. We call upon the entire national community to demand government authorities at all levels to strictly implement human and citizen rights as stated in the Constitution of Vietnam and in international conventions that Vietnam has accessed to. We suggest that lawyers, jurists, and law teachers engage in outreach efforts aimed at explaining thoroughly human rights issues to fellow citizens, government authorities, security forces, armed forces, militia units, and various organizations under the Fatherland Front so that all Vietnamese citizens would also be able to have the human rights currently enjoyed by other peoples in the world. We call upon cadres, administrators, soldiers and officers in the governmental system to respect and guarantee human rights as stated in the constitution and in international conventions and not to blindly carry out orders that violate these rights. Implementing and ensuring human rights in Vietnam would create the necessary conditions for establishing a “peaceful, unified, independent, democratic, prosperous, and strong” Vietnamese nation that could gain its rightful place in the world community. This is also the most effective way for achieving the national reconciliation and concord that everyone has been yearning for. In order to achieve the rights stated above the National Assembly should, first of all, abolish Article 88 of the Penal Code and Decree 38/ND-CP/2005 and demand that the Government free all prisoners who had publicly and peacefully expressed their political opinions. Once again we call upon the entire national community to be resolute in implementing fundamental human rights and demand the Government to respect and guarantee these rights. We urge compatriots inside and outside the country to express your approval of this call by signing it and by rallying support for it. We believe that the struggle of the Vietnamese people for human rights will increasingly gain the approval and support of people around the world.